The UK has fallen ten places in the rankings of Europe’s best countries for property investment. The list is created by payments firm, WorldFirst, which ranks the average available yields on buy-to-let investments measured by rent as a percentage of property value. The recent tax changes for buy-to-let investors have seen average yields in Britain fall 19% over twelve months, and has led to the UK falling from 15th place in 2016 to 25th this year. Tougher rules introduced for landlords in the UK recently have included a 3% surcharge on stamp duty for all new property purchases since April 2016, as well as cuts to tax relief on mortgage interest for buy-to-let properties from April this year. This has led to increases to rent in order to cover higher mortgage payments. Those with four or more properties will also find it harder to secure finance from October this year. Britain’s impending exit from the EU has also taken its toll on the country’s appeal for property investors, as the pound has taken a hit in the markets and tricky Brexit negotiations have appeared continuously in the media. 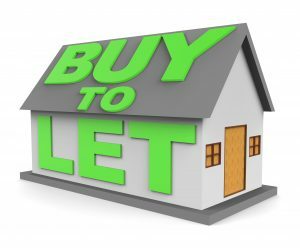 The report from WorldFirst reveals that the average yields from buy-to-let in Britain have fallen from 4.91% to 4% in the past twelve months. The lowest yields of under 2% can be found in areas with the highest property prices, including London and the South East. However, landlords have also reported that returns of around 8 to 9% are still possible in cheaper areas in the north from properties with multiple tenancy agreements in place. With Britain slipping down the rankings, where are the best places in Europe to invest in property? Ireland retains its place at the top of WorldFirst’s rankings with an average yield of 7.08%, up from 6.54% last year, thanks to the country’s cities seeing rents rising strongly. A one bedroom apartment in urban Ireland will now cost an average of £12,000 per annum to rent – the second most expensive in the EU after Luxembourg, where the average rent exceeds £14,000 a year. At the other end of the table below the UK are Austria, France, Croatia and Sweden, all of which offer less than 4% returns, thanks to sluggish rents and high property prices. Due to tight controls over the Swedish rental market, the country has been bottom of the rankings for three years in a row with a return of just 3.03%.